We all know that weddings and toasts go together like whiskey and rocks. But how do you set the scene for the best possible wedding whiskey toast, and then when do you say? 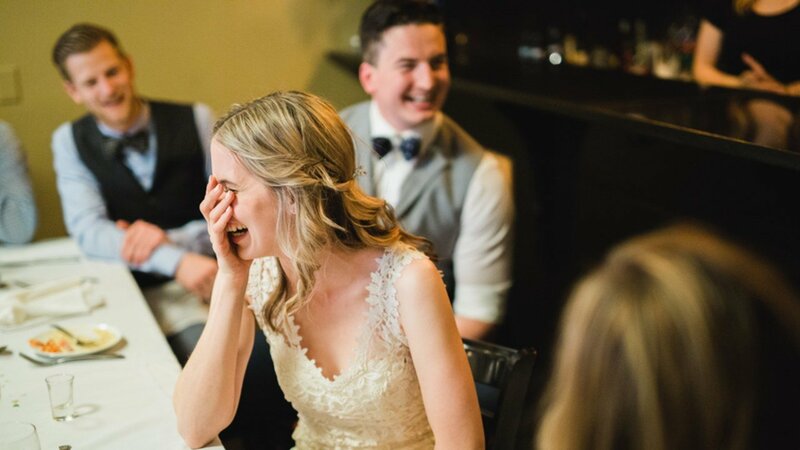 Let’s talk about the best ways to make a great impact with a wedding speech (or how to help your family and friends plan the toasts for your wedding) without being cheesy or over the top. 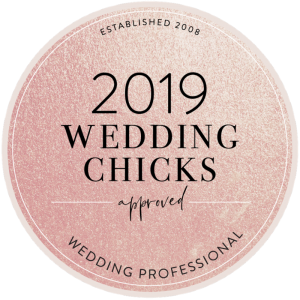 One of the best ways to make sure everyone has a great time at the reception, and especially during the speeches, is to consider the details. You know who will be there, you know who will be talking, but what will they be drinking? While the guests will be literally telling their stories, you can tell your own stories without saying a word through elements like the signature cocktail of your wedding. It should be meaningful, memorable, and delicious, of course. Plus, if you have one cocktail instead of an open bar, it can be cheaper! But is crafting your cocktail something can you can do on your own? According to Susannah of the blog Feast + West, yes! You can do it. In order to craft a drink that’s as unique as you guys, it’s as easy as considering a few things that make your relationship special. If you’re here, that means you’re probably going to go with whiskey. But if you like another type of spirit, or if one of you is a beer drinker, Susannah suggests you can get new labels printed to go over the beer label to make that drink your own as well. If we’re going for whiskey, let’s narrow down your whiskey choice. Whiskey, Bourbon, rye, or Scotch? Once you have that down, Susannah suggests choosing a local distillery, but you can also choose your favorite brand, or even a blend of your favorite brands as a couple if they’re complimentary. Susannah’s next suggestion is to capture the essence of a place that’s special to you as a couple. If you took a trip to Hawaii, maybe it’s pineapple or coconut, if you met in college in Florida, maybe you’d like to feautre orange juice in your cocktail. Don’t be afraid of edible florals, or unusual flavors used with restraint – just try it out! You’ll also want to consider your wedding theme and colors. A lot of ingredients can add your wedding colors in fun and refreshing ways, or you can use your garnish to tie it all together. Let’s have a little fun with this! 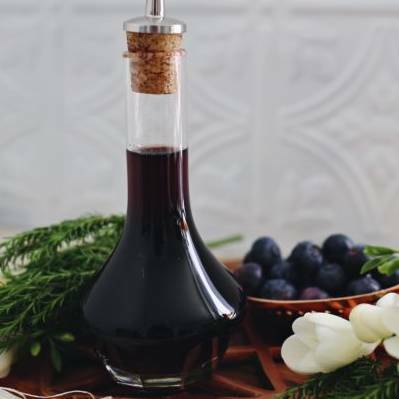 My wedding colors were navy blue and sage green, and I live in a place that has a ton of roadside blueberry stands in the summer, so if I were to do my summer wedding all over again, I would definitely consider making a blueberry signature drink. 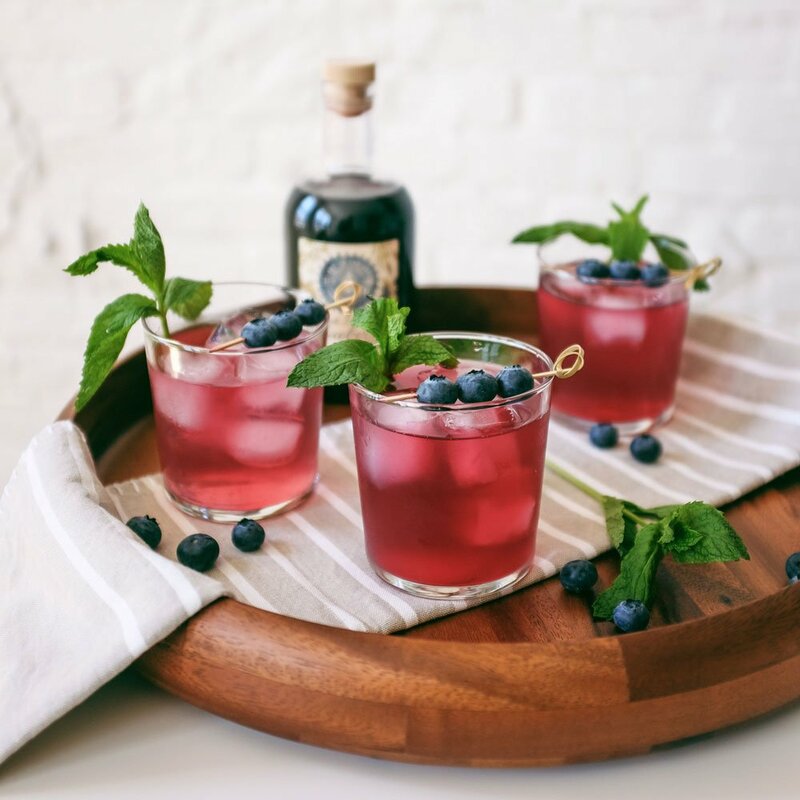 Fill your 12oz whiskey glass with ice, pour in whiskey, blueberry syrup, blueberry bitters, and lemon. Give it a stir and top with club soda, stir again and enjoy. Garnish with spring. 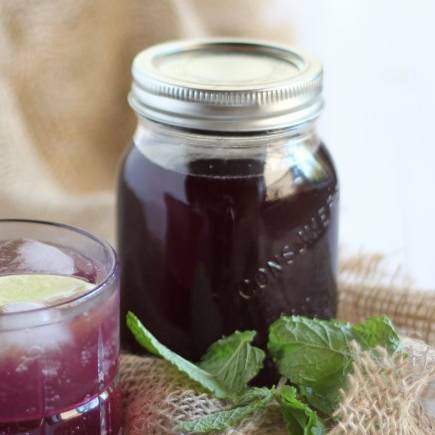 In a sterilized and completely dry mason jar, combine alcohol, blueberries and orange peels; seal tightly. Store for at least a week (but not more than 3 weeks), shaking once a day or so to keep it from settling. Strain using your cheesecloth or fine mesh strainer and store in a cool dark place for up to 3 months. Combine all ingredients in a small pot, bring to a boil, reduce to a simmer and continue simmering about 5 minutes more or until the blueberries have popped. Allow the syrup to cool completely, strain the syrup and place into a sealed jar until ready to use. Store in the refrigerator 7-10 days. Now that we’ve figured out the drink, let’s put it in something awesome. Since you’ll likely be needing some whiskey glasses for your cocktail, why not have some made up for the special day that you can use as a cornerstone of your home bar? 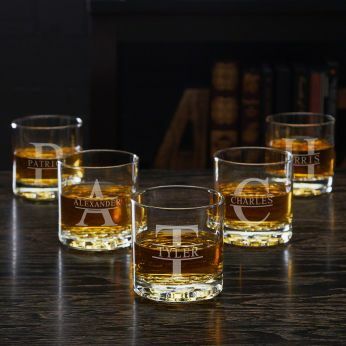 We may be a little biased, but we sure like these thick customized whiskey glasses etched in our very own studio with whatever design you’d like. Send us your logo or create something new, and we’ll engrave it on your glasses, decanter, bury-the-bourbon bottle, and of course – your Kentucky whiskey barrel head guestbook. If someone is inebriated or just way too nervous, help them out by standing up, thanking them, raising the glass, and ending the toast. Focus on the couple, not the audience. Don’t talk about your own relationships. Practice is great! Notecards are totally ok.
Be heartfelt and let your warm feelings for the couple shine through. Ok, so what should you say? Be sure to open with an introduction that lets people know your relationship to the bride and groom, and make a comment about how great the wedding was. 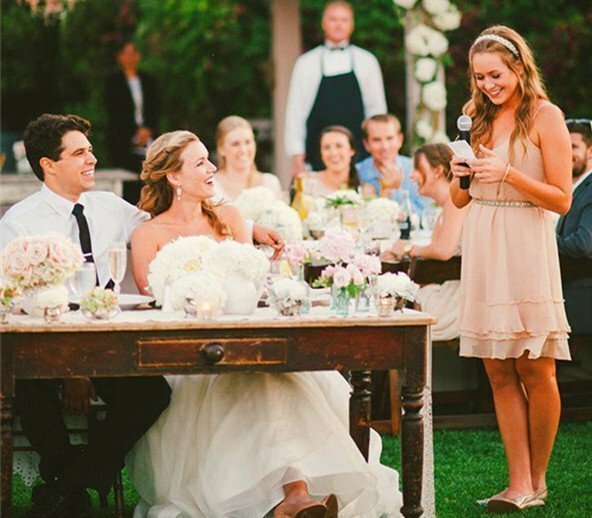 The middle of the speech should include highlights about the bride, the groom, and the pair of them as a couple. Highlight their positive qualities, and keep it light. Tell stories and fun details about them, but make sure it’s something they’d want everyone to hear. End with warmth – if you’re not the mushy type, go with a quote that sums up how you feel. Finally, put a bow on it with a “down the hatch” sentiment in your own style and raise your glass. Cheers! What’s Your Rustic Wedding Style?